While this water heating device might be one of the smaller models on the market, for the home chef it gets the job done! Cooking in a hot water bath is a cooking technique that can at last be yours to master as well. With traditional cooking techniques the thinner portions of your dish will be overcooked and the thicker undercooked in comparison. Cooking in a hot water bath allows an even degree of cooking regardless of the thickness of the cut of protein in question. Overcooking if you’re running late? Since the temperature of the water stays constant, the temperature of the food being cooked cannot exceed it’s target cooking point! 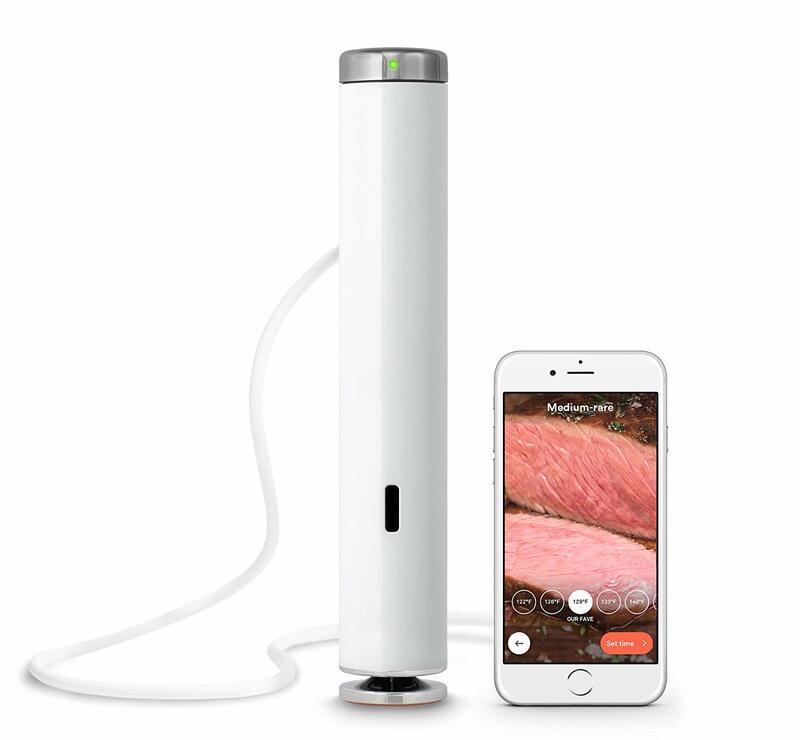 And the sous vide device runs on an app from your cell phone, so you don’t need to be home to make any changes! Voice Control Like a Captain from Star Trek! If your hands are covered in food, you can give your app voice commands. Want a steak medium rare – Joule make it so (130 Farenheit / 54 Celsius)! Joule is both Bluetooth and Wi-Fi compatible. This cooking video from Bon Appetite is a great tutorial on how to cook sous vide with a Joule!